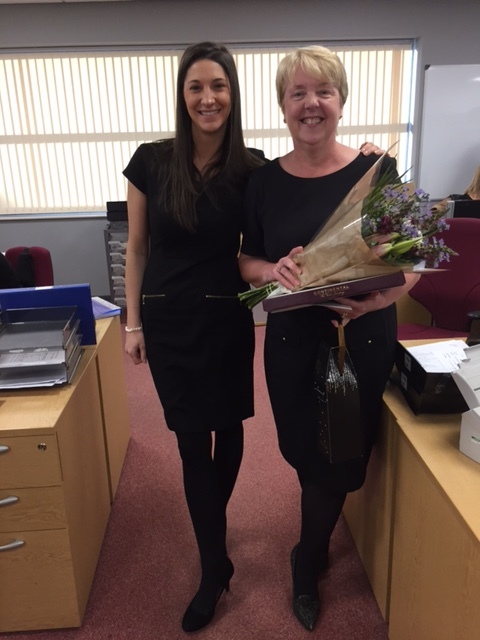 Yesterday marked the ten year anniversary of our Management Support Officer working for No1 CopperPot Credit Union. Lynda Chadderton is a high calibre and valued member of the team. We are proud to share this anniversary with her. The flowers and champagne presented by our Chief Executive Officer, Caroline Domanski, were just a small acknowledgement of Lynda’s contribution to the Credit Union – as seen in the picture to the left. From all of us here in the office as well as the Board of Directors, we would like to say a massive thank you for her loyalty to the Credit Union! Congratulations Lynda, we’re looking forward to the next 10 years!